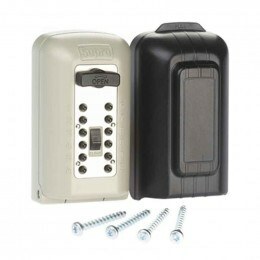 The Burton Keyguard Digital XL is a high security weatherproof Key Safe offering the highest specification for use outside for your home, business or rental property to store a spare key.The Digital mechanical design - does not use batteries and is ideal to store a spare key for use by carers and district nurses to visit the elderly or infirm. Independently certified and tested under both the Sold Secure Bronze and LPS1175 (issue 7) SR1 plus the Secured By Design scheme. Secure and Strong - Holds 1-2 Yale or 7cm mortise keys. Next Working Day Delivery if ordered before noon at extra cost. 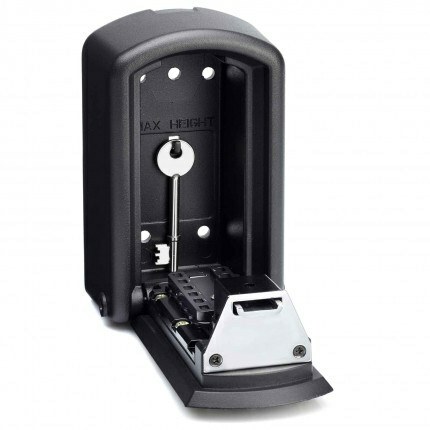 The Dual Certified Keyguard Digital XL- Police Approved quality and reliability. 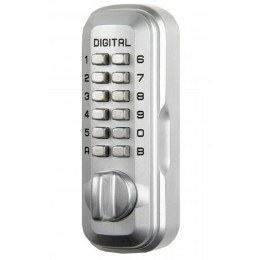 The Keyguard XL Digital High Security Key Safe with larger capacity is engineered to protect and last. 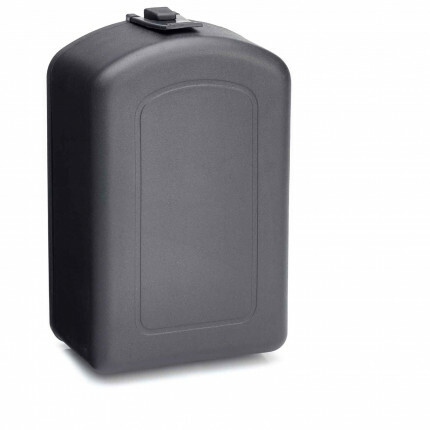 Ideal for Emergency Access, is a small wall mounted digitally operated operated safe, used for storage of a small number of keys to be accessed by authorised personnel. Keyguard is commonly used in locations where carers, home helps and others can gain access to the home, without the need for the door to be left unlocked, which would otherwise create a security risk. Domestically, Keyguard offers a convenient and reasonably secure means of leaving a spare key for use by members of the family, thus avoiding the need for too many keys in circulation and the inherent risk of losing them. Is the Keyguard Digital XL Key Safe suitable for use outdoors? 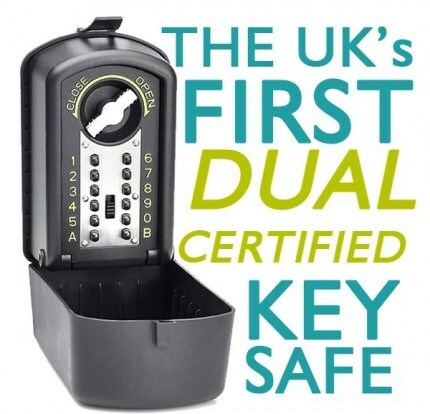 Has the Keyguard Digital XL Key Safe been tested and certified? What is the Sold Secure Bronze Certification? The "Sold Secure" Security Certification is operated by the "Master Locksmiths Association" this testing procedure has 3 levels of security - Gold, Silver and Bronze and is widely recognised by both The UK Insurance Industry and the UK Police force to assess the relative security merits of a security product. The product must pass severe tests to even pass the the Bronze level. Is the Keyguard Digital XL Key Safe Police Approved? Is the Keyguard Digital XL Key Safe Insurance Approved? Each individual Insurance Company will have it's own policy on outdoor keysafes and on this model too. 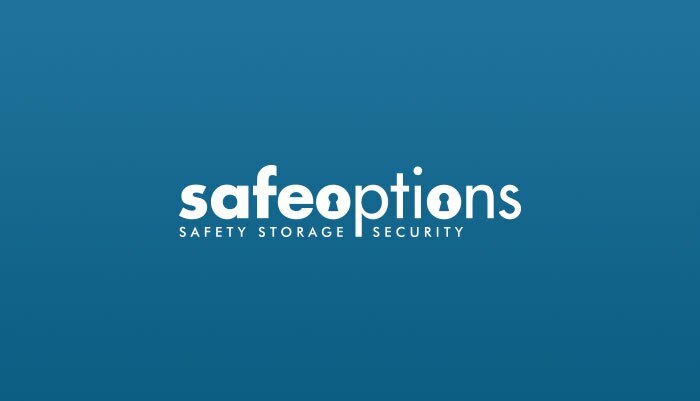 What one can say is that both the "Secured by Design" and the "Sold Secure Bronze" accreditation are approved by the UK Insurance Industry as a means of assessing the relative security of keysafes and the Keyguard is one of the few that have both of these certifications. Great product, heavy duty, good quality, easy to install. 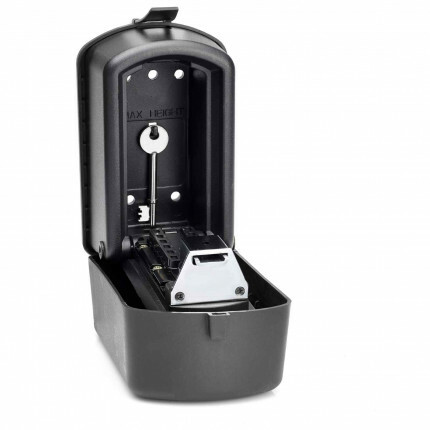 This key safe is very heavy and heavy duty. It comes with instructions which are easy to follow. 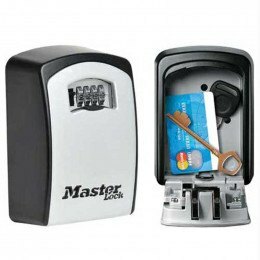 Although heavy, it is easy to fit and is great for our family to access the house keys when we are away. Quality item at an affordable price. This is to keep my keys safe. I think they will be safer than on my person or in my handbag. It also means one does not have to be concerned about lost keys and keeping track of multiple keys. Not many keys will be needed. It can be difficult to keep track of multiple keys. This eliminates that need. There will be another keysafe inside of the house to keep keys safe from snatchers who have previously taken keys. Easy to order, arrived promptly, Easy to fix in place. The hook to hang keys inside is halfway up the safe wall and doesn't allow enough room to hang a deadlock key. 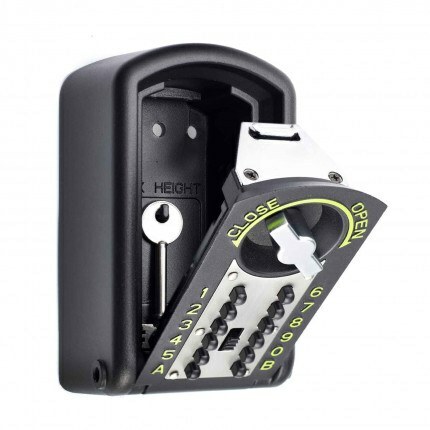 Great product and fit for purpose which is to safely store my house key on an outside wall. \nI would recommend this product to any age as it is very easy to use and set up. Great piece of kit.\nWe use it for our spare front door key.\nThe cover stops any dirt/spiders getting into the safe. Secure key box for the kids and friends! Seems very solid. I'm using it to store the key for my rental apartment. Used for spare key on caravan. Excellent product. Can you tell me who in the police force " approved" this Keyguard key safe? 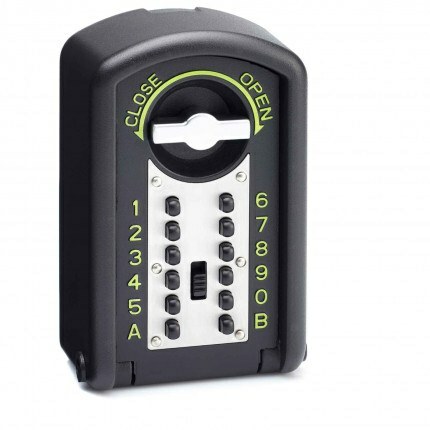 As it is a mechanical key safe can the programmed code be entered in any order? 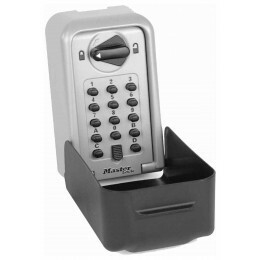 The programmed numbers of your preferred code can be entered in any order to access the key safe. How many keys will the Keyguard XL hold? Generally speaking you should be able to store between 5-7 Mortice keys and at least 7 Yale keys. As you can see the Keyguard Digital XL is also Police Approved via the "Secured by Design" security vetting scheme. Full Fixing and Operating instructions are available to download by selecting the PDF icon above. For an unskilled person it should take between 15-30 minutes to install the Keyguard Digital XL keysafe. Not sure what model I have inherited but it looks like the one on line. I have no instructions on how to change the code can you provide? This would be useful to find on line. User Instructions are available on our website - it is available to download on the product page - look for the PDF symbol to right of the images and below the dimensions.